I've gone to the Fancy Food Show for the past few years (2011, 2012, 2013, and 2014) but walking in to that giant exhibition hall filled with thousands of new food products and smiling vendors still makes me giddy! I don't know whether I like sampling the new treats or learning about their origins or inspirations more. I just know I love it all! So much so that starting in late December, I remind the Hubster every five minutes that it's almost Fancy Food Show time! This year's show was a fantastic mix of old favorites and intriguing newbies! It's always interesting to see how my favorite new finds match up against the Specialty Food Association's list of annual food trends. 1) Choctal- I will confess to knowing very little about this whole "single origin" business but I know a lot about good ice cream and this is it! 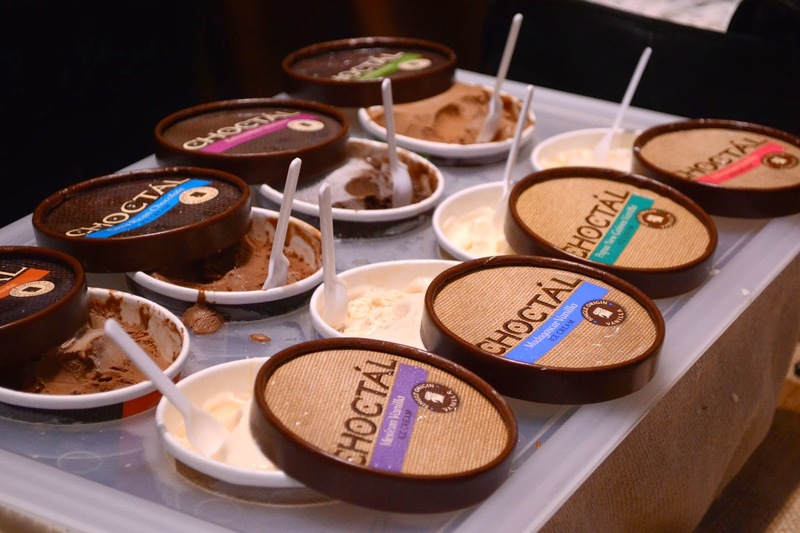 Choctal's chocolate and vanilla ice creams are "single origin" in that they are made from a single variety of cacao or vanilla from a single part of the world. I know! I was totally skeptical too! Until I tasted the different varieties and realized that a chocolate ice cream made with Costa Rican cacao really does taste different from a chocolate ice cream made with Dominican cacao. And on top of really delicious ice cream, the company has a really great social conscience! 2) Zouq Snacks- There was something oddly familiar about these tasty little snack cups. I ate one cup, then another, and then it hit me! These little snacks are basically a trendier, fresher tasting version of the snack bags my parents buy from their local Indian market. The snacks come in a few "trail mix" varieties with various combinations of nuts, lentils, and spices all packaged in these neat little pop top canisters. 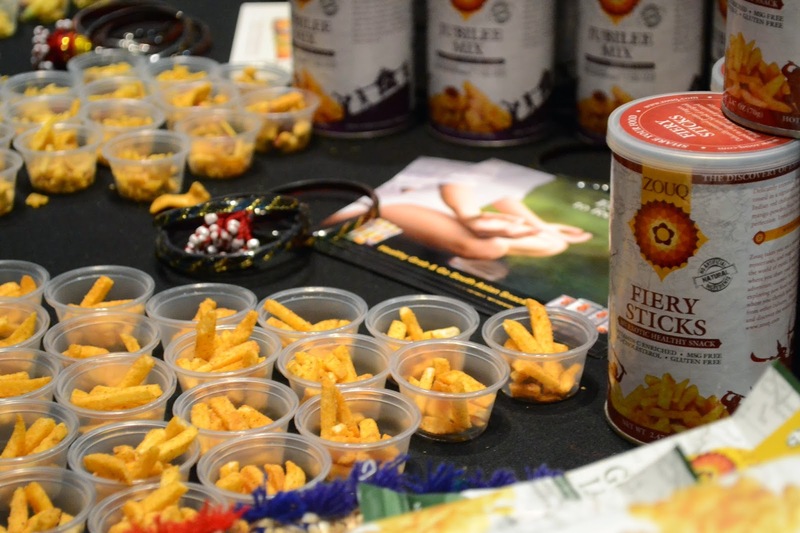 My personal favorite were the fiery sticks and I must have eaten about ten little sample cups. Ain't no shame in my game! 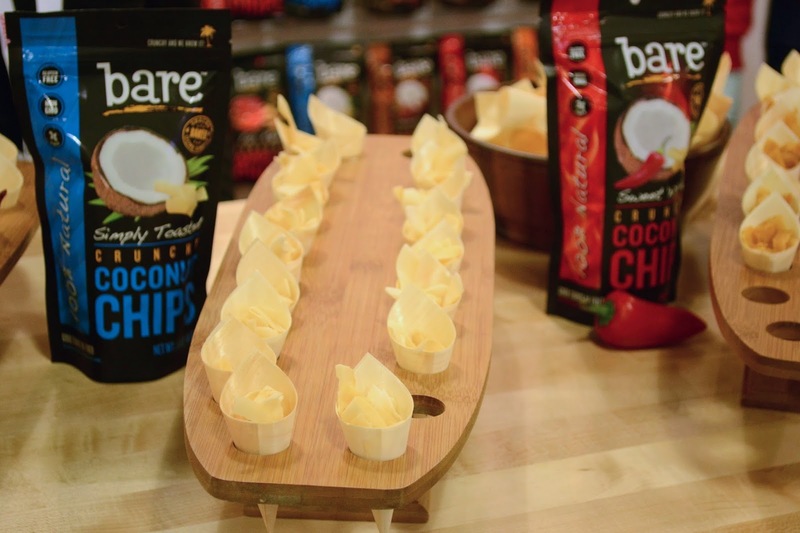 3) Bare Snacks- I will be the first to admit that dehydrated fruit does not equal chips in any realm. But once you get over that fact, these coconut "chips" are pretty darn awesome. They're basically super light and crunchy coconut pieces in various flavors including honey and chocolate. I think they'd be really great on top of oatmeal or yogurt. 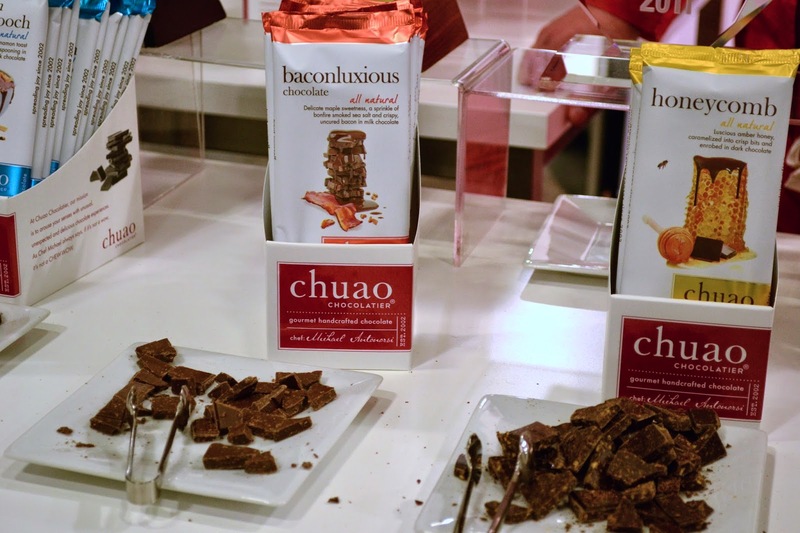 4) Chuao Chocolatier- I like my chocolate to be straight up chocolate but that honeycomb bar was pretty life changing. Even the description from their website, "Luscious amber honey, caramelized into crisp bits and enrobed in dark chocolate," is mind boggling in the best possible way. 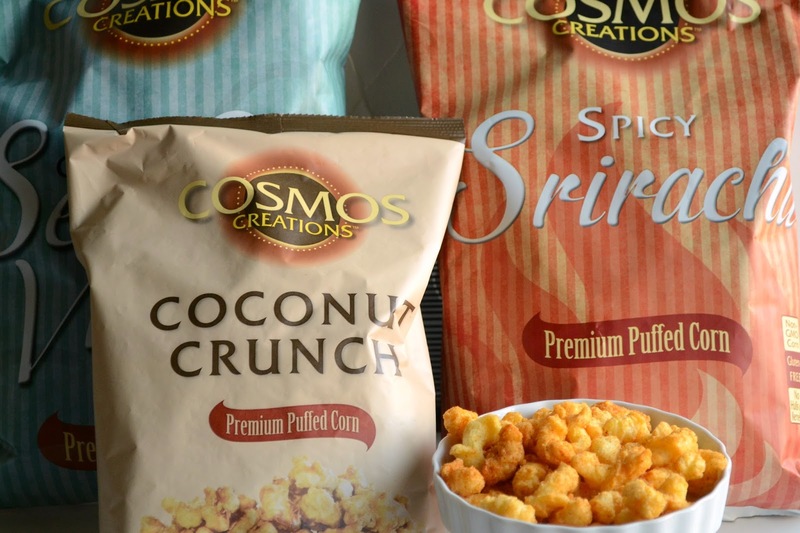 5) Cosmos Creations- I was introduced to Cosmos at last year's show and fell in love with the idea of a puffed corn snack without hulls. I thought there was no way they could top their Aged Cheddar and Cracked Pepper flavor until this year when they came out with their Sriracha flavor. Game. Over. I could easily eat an entire bag of these delicious little buggers in one sitting. 6) Divino- I have never seen so many people exclaim so loudly. Every single person that came to this booth went nuts over the idea of gelato filled fruit. And for good reason! This stuff is amazing. The company hollows out various fruit, turns it in to gelato, and then puts the gelato back in to the skin of the original fruit. It sounds crazy but it tastes awesome. The lemon one was so good, I seriously wondered if anyone would think it weird if I walked away with half a lemon with a spoon stuck in it. 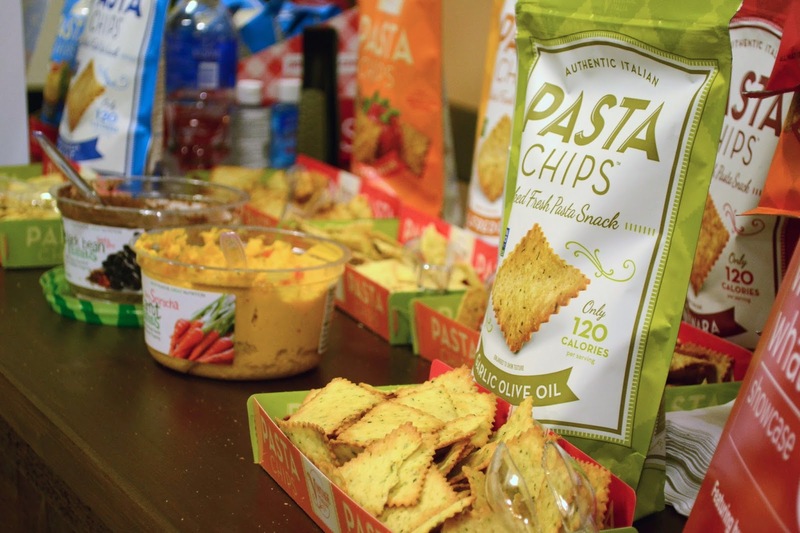 7) Pasta Chips- Every year, there's at least one idea that I see and think, "There is no way this will work." Most of the time, I'm right, it just doesn't work. But every now and again, I'm wrong and it works! This was one of those times. I'm not sure how they turn actual pasta in to these chips but they're fantastic. They basically taste like a lighter pita chip and come in delicious flavors like Garlic Olive Oil and Marinara. 8) Kidd. 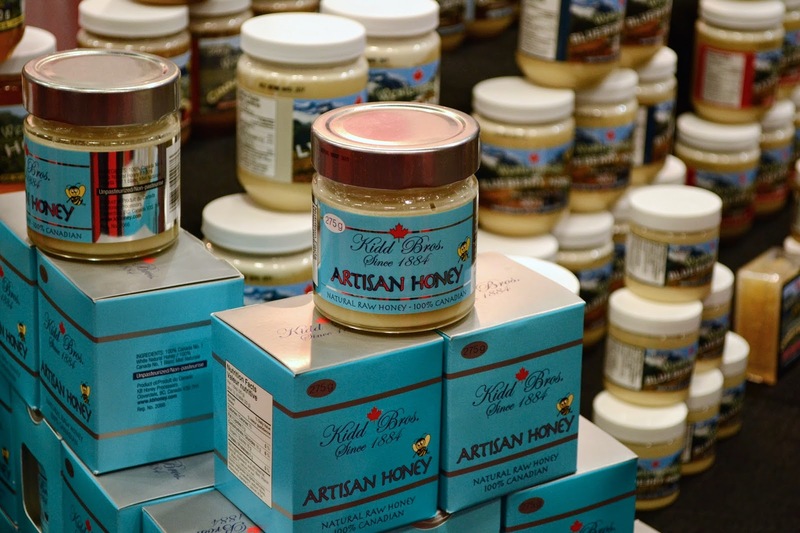 Bros. Honey- It's crazy to put honey on a list of best items but this creamed honey was just so darn memorable. I'm sort of new to the honey game and in my world, the honey in the bear shaped bottle in my pantry always gets all weird and crystallized. Now I know I can put jar in hot water to get the honey flowing again but why would I when I can have creamed honey? The consistency is so much better than regular honey and the flavor selection was an added bonus. 9) Simply 7- Quinoa. Chips. Yup, I went there. I feel like my love of chips is fairly well documented and my love quinoa is well, undocumented (and mostly nonexistent). But these little buggers were really good. They tasted like a heartier pop chip and I kept right on eating 'em while the kind booth person waxed rhapsodic about the protein content or some such thing. I bet they'd be even better with dip. 10) Pacific Northwest Kale Chips- I see you over there, rolling your eyes at yet another person ooh'ing and aah'ing over kale chips. But hear me out. We all know that the idea of kale ever being a chip is ludicrous. But once you accept that, you're in a better place to approach the kale chip as just another possible interesting snack. 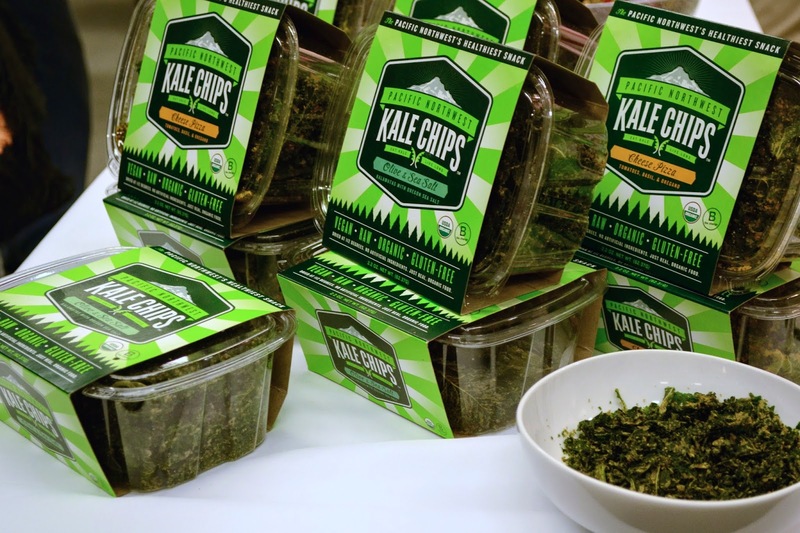 I tasted many a kale chip at the show and most of them were too leafy for comfort. If I'm going to eat leaves, I'm certainly not going to call them chips. But these ones were really tasty and I would even go as far as to say the cheese flavor could be a legitimate snack. Yup, I didn't think I'd ever be saying this either. I can't wait to see you next year, Fancy Food Show! I miss you already! I am beyond jealous! It's my dream to go to this show... Someday! I'm glad you had such a good time. That Divino looks crazy awesome! 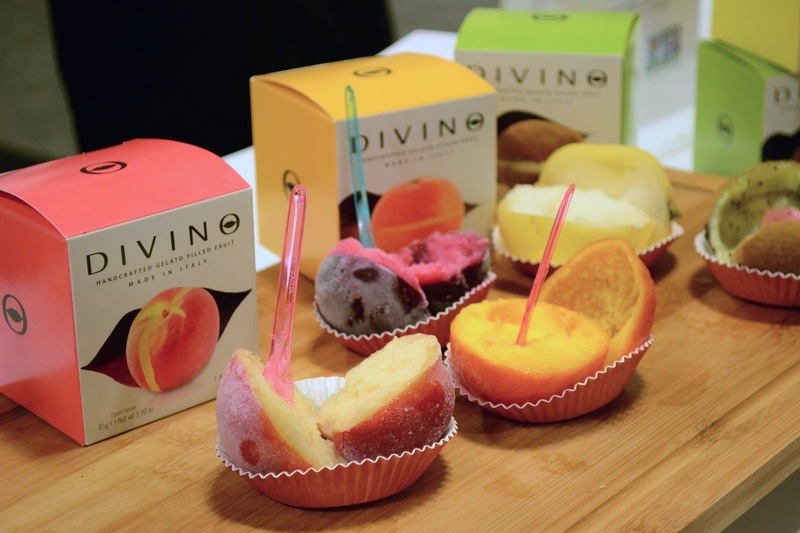 Divino...such a great idea for those of us who can't eat regular ice cream. No way?! What a small world. I got a small bag of Zouq snacks as a sample to show my mom because it's basically an upscale version of her favorite desi snack :) And my gosh, we have so many cookies. Please come take them. My pants are begging you to help eat them. Whoa, what a great bunch of new products! I'd be snacking my way through the aisles :) I love your choices and hope they make their way to the middle of the country soon! Love seeing your favorites. That fruit gelato was insane. Also - did you happen to try the gingerbread kochi ice cream? Life. Changing. Sad to have missed seeing you, but the show was fabulous! How do we miss each other every year?! I hope we get to hang out soon! Wow! I am drooling over all these fun snacks! The show looked like so much fun! Haha I would be hovering over that gelato filled fruit too - that sounds amazing!!! Right?! Every year after it's over, I think, "Oh man, now I have to wait a whole other year!" Oh goodness "gelato filled fruit" -YES! YES! YES!!! So much goodness in those words! I might have to have sampled EVERY SINGLE SAMPLE they put out, had I been at that show! And that chocolate - woa! 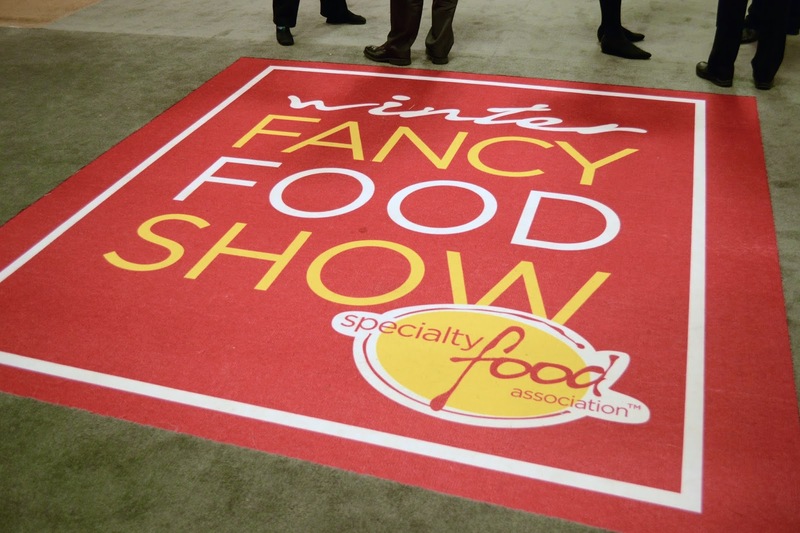 I so wish the Fancy Food Show made it's way to Atlanta sometime - sounds like an ah-mazing experience! I made a big mistake in reading this before lunch as I'd love to dive into all of them right away and my stomach is GROWLING. The only single-point-of-origin foods I've had and can tell you the difference between the various ones are olive oils and probably cheddar cheeses, but I could totally see cocoa grown in various parts of the world having distinctive characteristics. Oooh, you're right, olive oil is also a good one. They mentioned coffee also a big single origin item. OMG... I am beyond jealous. EVERYTHING looks/sounds so amazing, but I think its the Divino that looks out of this world. The Divino was definitely awesome! Such a unique idea! It's 10pm and I am getting hungry looking at all of your pictures from the show. So bummed I was not able to attend this year so I thank you for putting together a great recap of what I missed out on! Tasting heaven! 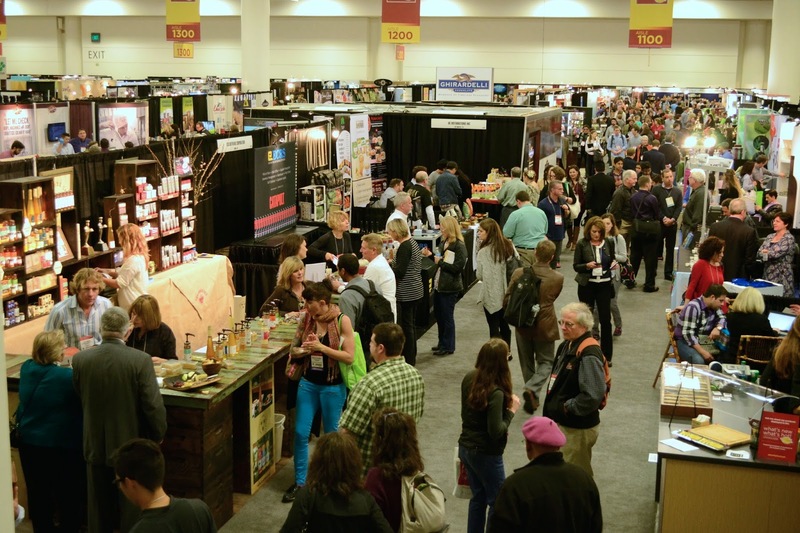 Fancy Food Show looks so fun! Love your photography and hope this expo comes to DC! Oh I loved it so much too. You have some pictures here. 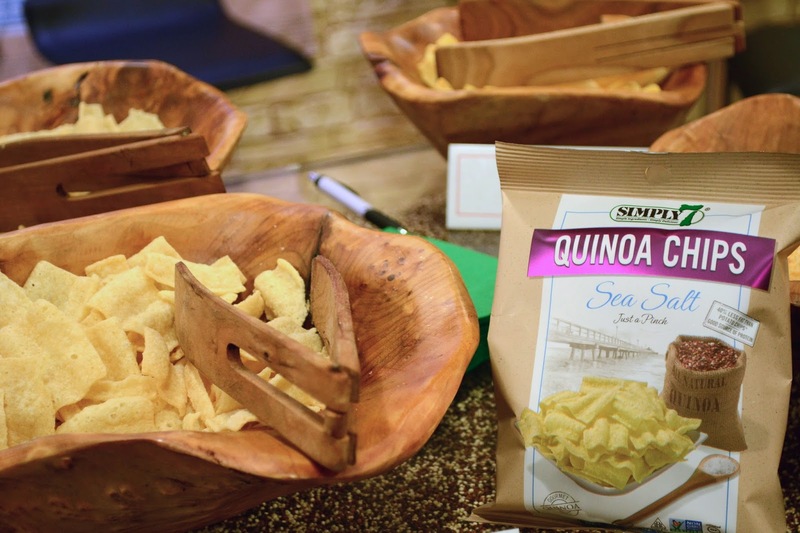 I enjoyed the quinoa chips so much, it was absolutely deliciousness. I remember one thing I loved and had to drink glasses of water after, the hot spicy sauce. It was amazing. I really hope next time, us bloggers can go together:). What a fun post! I felt like I was right there with you! (Love your humour, by the way!) Thanks for making me hungry right before bed :) I'm going to have to check some of these out!